Sailboat Salpa 38.5 called Neja has been built in 2009. We offer her from harbor Sukosan in surrounding area of Zadar. Neja is registered for 9 crew members. Layout of the sailboat is 9 (6+2+1). 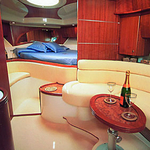 Salpa 38.5 Neja is equipped with 3 cabins. For guests disposal there are 1 WC with showers. You can fill the fuel tank with 700.00 l liters and in tank for water it goes even 220.00 l l. With engine 2x260 hp Volvo D4 Neja can sail really fast. Neja is 12.01 meters long and 3.86 meters wide. Depth is 0.90 meters. 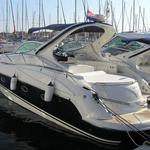 Search for other boats right here: Motorboats Sukosan. Boat's equipment includes : Microwave, Radar, Gps, Air conditioning, Radio / cd player, Bed linen, Bow thruster, Outboard engine, Bimini top, Dinghy, Anchor electric windlass, generator. . Security caution is at the level of 2500.00 EUR. Choose our offer and spend great time on the deck of Neja. 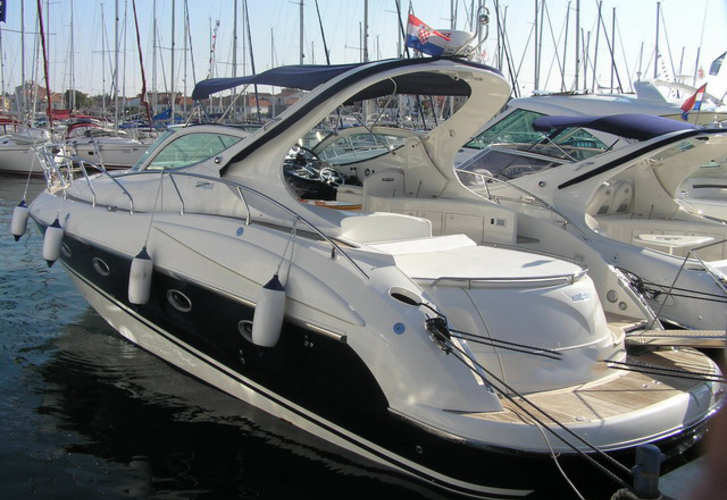 This Salpa 38.5 from Sukosan from Croatia Look for by going to the section Motorboats Croatia.